Oh yes! A fantastic commission landed in my lap, due to my work at Society6. 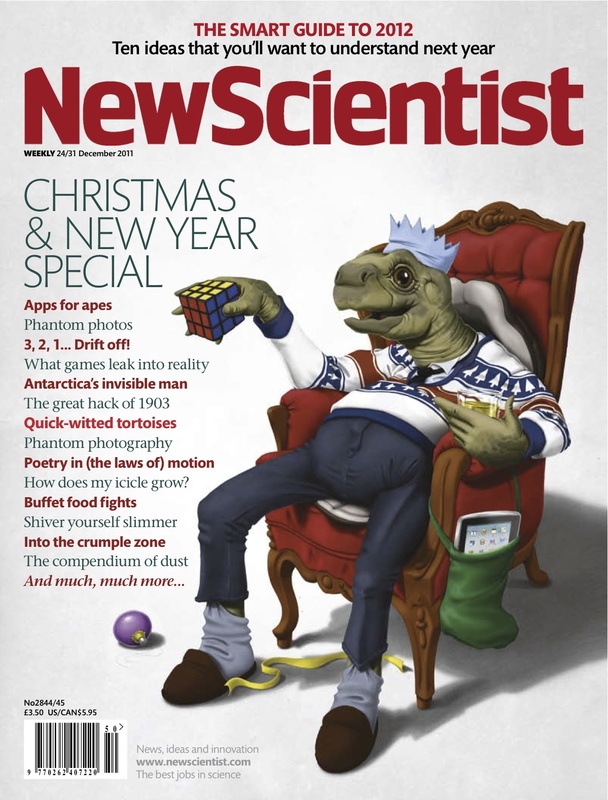 The art director at New Scientist saw a Toad illustration there and thought it idea for the Christmas cover (with some alterations). After two weeks of designing and painting, it was complete. Above is the final text layout before print. Hoping for the notoriety this will produce, and hopefully more work.